…. Even half of the DEMOCRATS polled aren’t buying it! Well now …. it looks like the efforts by the left wing and their media partners to blame Sarah Palin, the Tea Party, talk radio, and puppies for the Arizona tragedy just ain’t makin’ it. Kinda sad because they have tried so hard, using the most extreme pretzel logic imaginable, to use this tragedy for political gain. Nearly six in 10 Americans say the country’s heated political rhetoric is not to blame for the Tucson shooting rampage that left six dead and critically wounded U.S. Rep. Gabrielle Giffords, according to a CBS News poll. In the wake of the shooting, much focus has been put on the harsh tone of politics in Washington and around the country, particularly after a contentious midterm election. Rhetoric and imagery from both Republicans and Democrats have included gun-related metaphors, but the majority of the country isn’t connecting the shooting to politics. There’s mounting evidence that the attack on Rep. Gabrielle Giffords wasn’t a political act but a plan by a disturbed high school dropout who had few friends and no clear agenda. …Instead, Loughner may have had some self-generated dislike of Giffords that stemmed from when he first spoke to her at an event in 2007. Looks like the left has failed massively here. The American people aren’t stupid. They understand that someone who leans to the left, and has been obsessing on Congresswoman Giffords long before Sarah Palin was known, or the Tea Party existed, might just have other issues. The media spin of the first 48 hours failed to even convince the predisposed. Only 42% of Democrats in the survey believed that the shootings were a political act, and independents broke out at about the same ratio as the overall sample, 56/33. That is very good news for America, and bad news for those in the media and in Congress who hoped to leverage the shooting to pass gun-control and speech-control legislation and bully grassroots conservatives into silence. 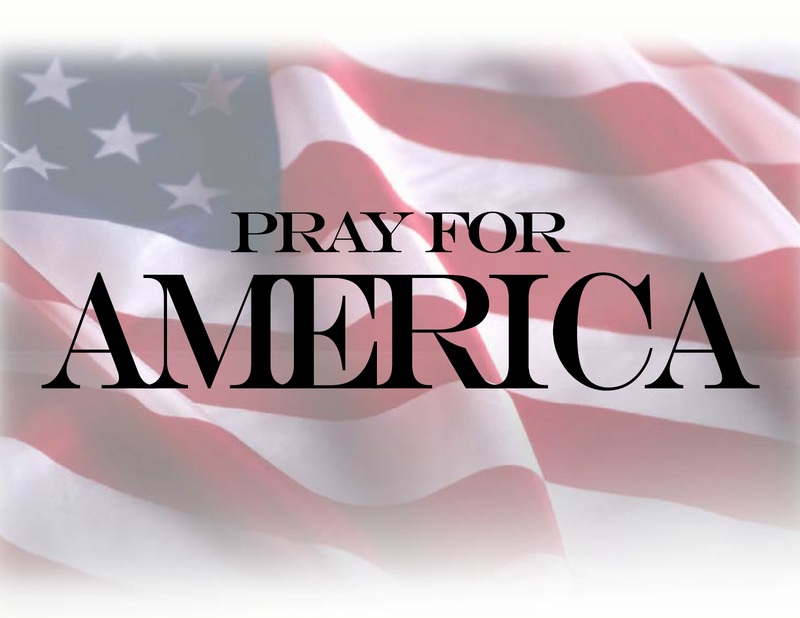 I know the left will never stop attacking, and the corrupt media will never stop carrying their water, but it’s comforting to know the American people are much smarter than they are and won’t buy into their lies and smears. Sarah Palin weighed in hard on Thursday over the despicable firing of Juan Williams by taxpayer funded NPR, calling on Congress to defund this house organ of the political left. She’s also burning up the keys on her BlackBerry © as well, and tweeted this profound statement. Once again, our Constitution protects all speech, not just the speech we agree with. Agreeable speech really needs no protection, does it? This entire episode is yet another shining example of the huge myth that says the left is “loving,” “accepting,” and “tolerant.” The left only tolerates that which is in total lock step (goose step?) with it’s radical agenda. Any deviation will be dealt with swiftly, and harshly. 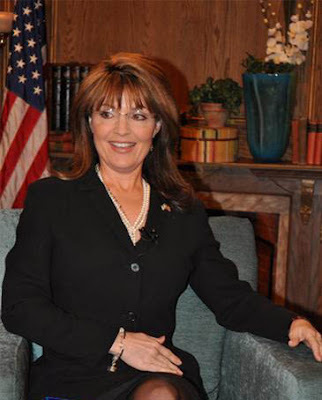 Sarah Palin Talks Canadian Health Care, Baits The Drive-By Media, And They Get Caught Lying! If anyone thinks for one second that Sarah Palin is not a political genius, well, they need to think again! One thing we all know for sure is the democrat party and the media (yes, yes, I know, same thing) hang on her ever word, every action. Sarah Palin can walk out her front door and it makes headlines. Sarah is so far into these people’s heads. She is living there rent free. Better still, she knows it and is constantly using that to her advantage. Take her State of the Union address at the national Tea Party convention last month. She wrote three words on her hand, and ever since, people are asking her about it, and giving her an opportunity to talk about national security, energy independence, and the budget. Genius, pure genius. We speculated, at the time, that it may have been on purpose. 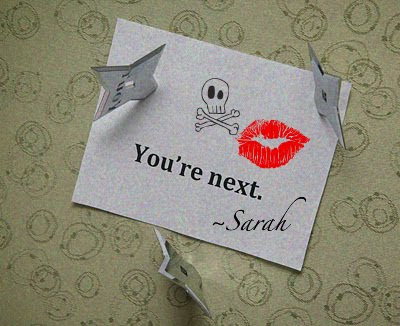 Whether it was or just Sarah being Sarah, we’ll never know, but one thing’s for sure, the media took the bait! This newest deal, of course, is even more delicious, because the left wing media has already started caterwauling over the speech Sarah gave in Canada this weekend. They are taking the bait here as well and, as usual, the Obamacentric media gets it wrong. Former Alaska governor Sarah Palin, a fierce opponent of Democratic health-care reform efforts who has said America under President Obama is headed toward socialism, told a Canadian audience her family used to go to Canada to get medical care when she was growing up. “My first five years of life we spent in Skagway, Alaska, right there by Whitehorse. Believe it or not — this was in the ’60s — we used to hustle on over the border for health care that we would receive in Whitehorse. I remember my brother, he burned his ankle in some little kid accident thing and my parents had to put him on a train and rush him over to Whitehorse and I think, isn’t that kind of ironic now. Zooming over the border, getting health care from Canada,” Palin said a speech Saturday night, according to the Calgary Herald. Palin spoke before a paying audience of 1,200 in Calgary, with tickets costing between $150 and $200, the Medicine Hat News of Medicine Hat, Alberta, reported. Whitehorse, in the Yukon, Canada, is north of Skagway. Palin has also told an alternate version of the story that had her family traveling south by ferry to Juneau from Skagway for treatment of her brother’s burned foot, rather than to Canada, according to a 2007 report posted by the Skagway News. This story line fails on many levels. First of all, despite what WaPo and other dishonest media seek to portray, Canada didn’t have socialized medicine in the 1960’s. Oh sure, some provinces had experimented with it, Saskatchewan, for one, had some success even. But Canada didn’t have a national health program. Canada’s single-payer health care system, known as Medicare, was established in 1966. Its principal founders were Tommy Douglas, leader of the social-democratic New Democratic Party and former Premier of Saskatchewan, and Prime Minister Lester B. Pearson of the Liberal Party. It had previously been implemented at the provincial level in Saskatchewan in the early 1960s, under Douglas’s leadership. At the time of Canadian Medicare’s passage, Palin was two years old. You see, this is how the dishonest media works, they rely on the hope that you, the reader is stupid and/or lazy, and won’t do any investigating themselves. If nothing else, Sarah Palin’s very existence and the media’s reaction to her, has shown us that we must fact check absolutely ever single story they produce, because chances are good they got it wrong. Of course, we know that universal care has been a disaster for every state that has tried it in the United States. Think Massachusetts. It wasn’t until the 1970’s that Canada had any sort of nationwide “universal care” and it only covered in-hospital care. Doctor visits and other services weren’t covered. It wasn’t until the Health Care Act of 1984 that Canada had what has come to be known as socialized medicine. So Sarah and her family never “benefitted” from “socialized medicine.” On the contrary, they received the same kind of quality care we enjoy here in America. Oh, and her brother’s treatment and the two “different” stories? Pretty simple, the family sought emergency care in Whitehorse and the follow up care was done in Alaska. Once again, in their effort to smear Sarah Palin, the corrupt media proves just how worthless and lazy they are. Or maybe they know the truth about Canadian health care, but choose to lie about it to fool their mind numbed readers. One thing’s for sure, with the progressive movement going down in flames, the media is grasping at absolutely anything to make it all stop. Unfortunately, for them, it’s not going to! Look, there has not been one ridiculous story/rumor/gossip about Palin and her family, starting with the 2008 campaign, that hasn’t been found false. So here’s the New Rule–if you hear something that sounds stupid, or ridiculous or makes it sound like Sarah Palin has somehow lost her mind, that’s your cue that it’s a false story, engineered to make it sound like, uh, Palin has lost her mind. All I can say is: Nice try media, keep carrying the progressive’s water. You are making yourself more irrelevant every single day. Meantime, Adrienne Ross reports that Sarah captivated the Canadian audience and spoke for roughly 40 minutes, without notes. Read Adrienne’s report here. One last thing, it is this writer’s firm belief that when the history books are written, Sarah Palin will be included as one of America’s greatest and most influential leaders, but if Sarah does nothing more than continually exposing what a bunch of crooked liars the so-called “mainstream media” is, the lady will have provided a noble service to the nation.